Rainbow Six Siege is headed to the red desert in its latest multiplayer map - Outback. 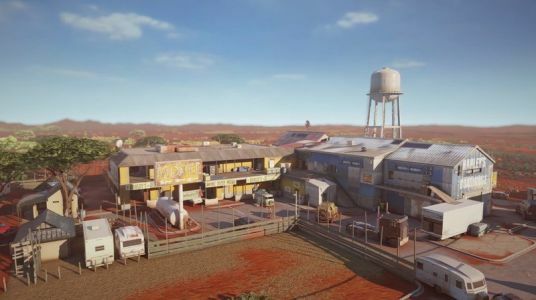 With Ubisoft gearing up for a full reveal of the next update for Tom Clancy's Rainbow Six Siege , its Australian multiplayer map "Outback" has debuted. Shipping alongside Year 4's Operation Burnt Horizon , the new locale heads to the red desert, exploring a distressed service station and motel. G'day! Ubisoft have unveiled the new Rainbow Six Siege map they were teasing last week, and it's Australia alright: kangaroos, didgeridoo music, and yet more kangaroos. Oh, and a massive shark, suspended from the ceiling, as you do. No koalas, though, which is a disappointment. Still, you can see it all for yourself in the trailer below.